A dinky little post for you today. I am currently staying with my parents in Devon at the moment and only packed a few things to alternate throughout the week. 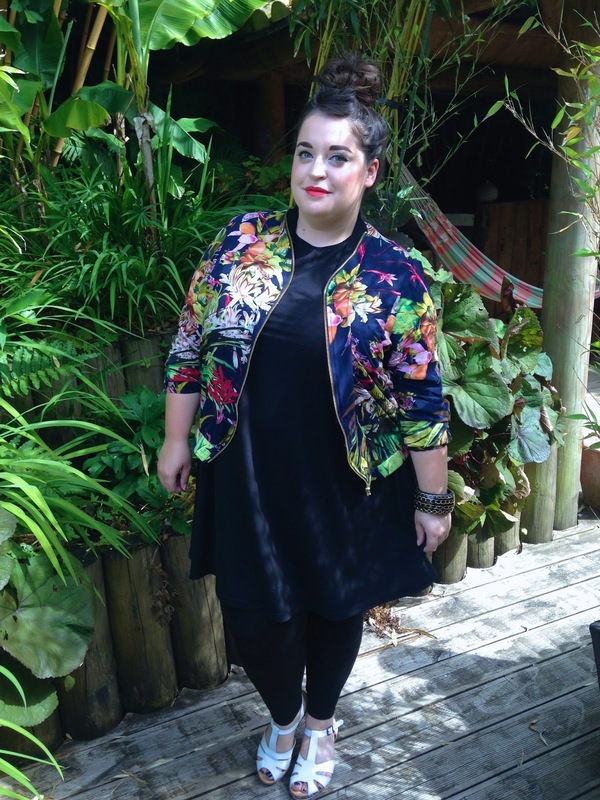 One of those things is this beautiful Junarose bomber jacket that MS.SVG kindly gifted me a few weeks back. I've been meaning to post about this jacket ever since I got it but I kept forgetting to take snaps of it but today I finally remembered and although I am not wearing an incredibly ground breaking outfit, I really do love this jacket and the way it livens up a basic outfit. 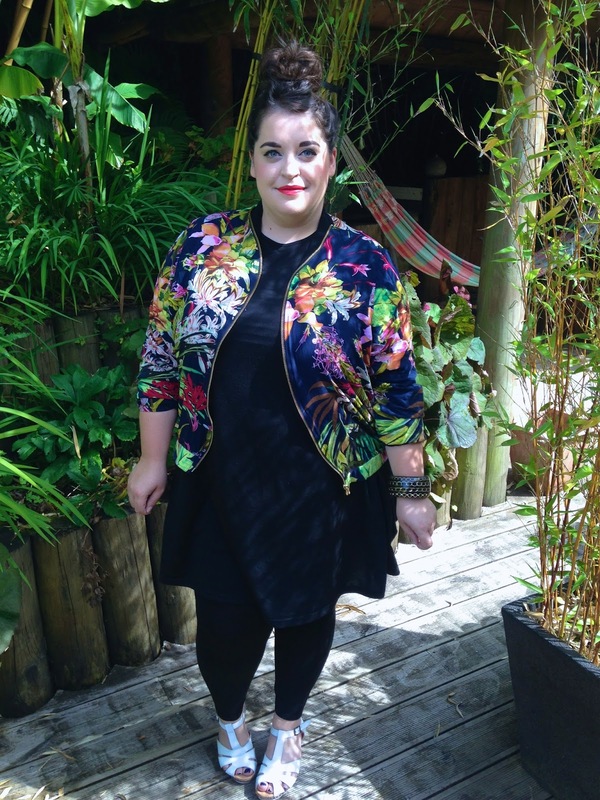 The jacket, unlike many other bombers is made out of cotton so it is lovely and light and cool. A lot of the bomber jackets I own are so synthetic that if I were to stand next to an open flame, I would definitely go up in smoke! You all know how much I love a print and this one is a beaut. I'm loving the colours in it and the fact that it isn't predominately black but a dark navy. The gold zip detail on the front is really nice and the way it wraps round the neck of the jacket it lovely. I wanted the jacket to be the star of this outfit so I chose to wear it over a simple black swing dress from ASOS Curve, black leggings and my super comfy sandals from Simply Be. YEY to finally being able to wear my hair in a top knot again! I have missed wearing it like that since I got it all chopped off!! 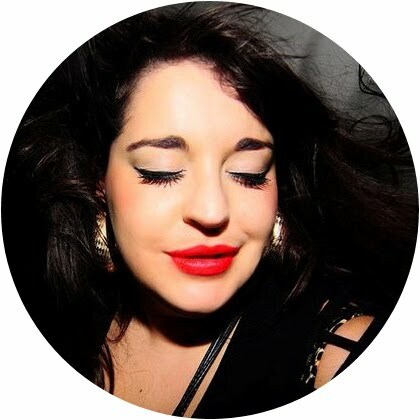 My lippy is a Kate Moss for Rimmel one and it's number 110 - a lovely pinky orange colour with a matte finish. If you haven't checked MSSVG out, I highly suggest you do. They stock a number of fab plus size brands and I was super impressed with how my jacket was packaged up and sent to me. I think I want to try some Bandelettes from them next - have any of you ladies tried out this method of stopping the dreaded chub rub? 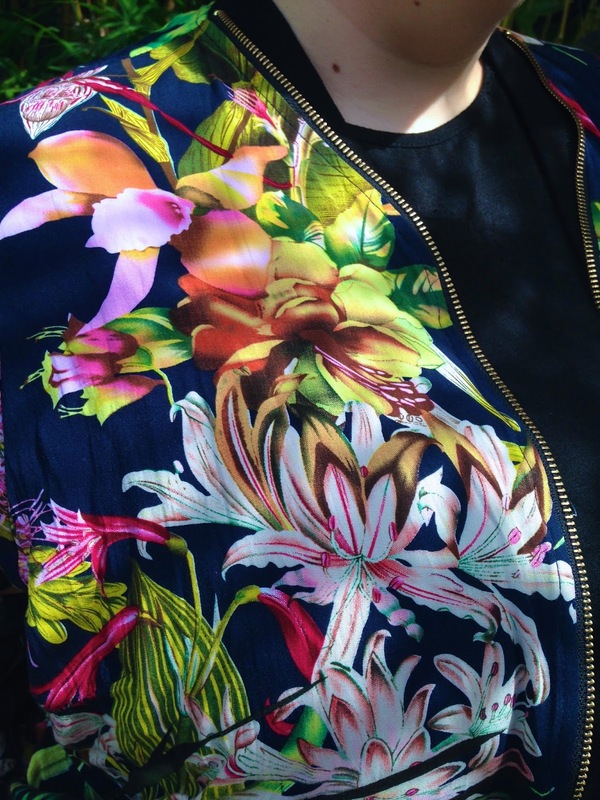 I love that jacket with all that flower print. It looks great on you! I tried Bandelettes and was not a fan. I wrote a review on my blog if you want to check it out.